Gov. Brown’s marijuana tax revenue estimates were included in the budget he proposed for the upcoming fiscal year. How much is recreational marijuana worth to California? Gov. 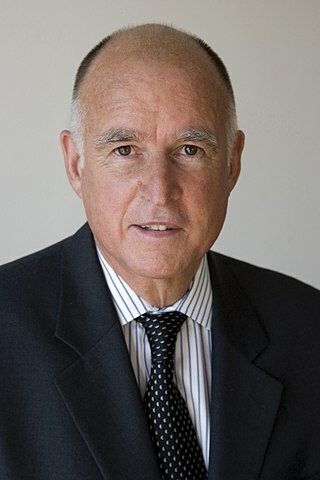 Jerry Brown believes that the state’s regulated recreational marijuana market will generate $643 million in tax revenue in its first full fiscal alone. The tax revenue estimates were included in the governor’s recently released budget proposal for the upcoming fiscal year starting in July. Between July 1, 2018 and June 30, 2019, the state Department of Finance expects Californians to purchase nearly 1 million pounds of marijuana. That would amount to $3.4 billion in recreational marijuana retail sales, a figure in the ballpark of previous estimates. A state-sponsored economic study by the University of California Agricultural Issues Center last year projected California’s massive marijuana market will eventually surge to $5 billion in annual sales. An earlier report from ArcView Market Research and New Frontier estimated that the first full year of California’s recreational sales would hit $1.6 billion before surging to $6.46 billion by 2020. California’s adult use marijuana sales began January 1. Of the six months that remain of this 2017-2018 fiscal year, the budget estimates that the state will generate $175 million from taxed sales. That’s more than enough to cover the $52 million the state had budgeted for regulatory costs. Estimates from California’s Finance Department project that the state’s recreational market, while expected to be the largest in the nation, will grow at a slower rate than Colorado, Washington, and other states where adult use marijuana is already legal. Over their first three years, the recreational markets in Colorado and Washington grew by 40 percent and 50 percent, respectively. California’s is expected to grow by 22 percent per year. “The amount and timing revenues generated from the new taxes are uncertain and will depend on various factors including local regulations, and cannabis price and consumption changes in a legal environment,” the budget reads. Is California’s Marijuana Tax Rate Too High? California voters approved Proposition 64 November 2016 to legalize adult use marijuana and establish a statewide regulated marijuana market. The law permits adults ages 21 years and older to buy and possess up to 1 ounce of marijuana or 100 milligrams of edibles. Adults can also grow up to six marijuana plants for personal use. Some cannabis entrepreneurs and advocates are concerned that California’s 15 percent excise tax on marijuana sales is too high, which would discourage consumers to obtain cannabis from licensed dispensaries and allow the state’s illegal market to continue to flourish. The California Growers Association supports reducing the 15 percent excise tax on retail sales to 5 percent. It also suggests eliminating a $2.75 tax per dry-weight ounce of cannabis leaves to the existing cultivation tax. The state will be able to make changes to the tax rate. Proposition 64 requires the state Legislative Analyst’s Office to make a recommendation by January 1, 2020 on whether the tax rate needs to be adjusted to keep the legal market competitive with illegal marijuana sales. “We definitely think the state Legislature should put a cannabis tax reform measure on the ballot in 2018,” Allen added. The generated marijuana tax goes to pay back the general fund for costs related to regulating marijuana. There are also dollars allocated to youth treatment and prevention, environmental protection and remediation, studies on marijuana impacts, and to invest in communities most harmed by prohibition. California is one of nine states to legalize recreational marijuana and one of 29 to legalize medical marijuana. With public attitudes regarding cannabis evolving and more states legalizing marijuana for medical or recreational purposes, the nation’s cannabis industry continues to change and grow quickly. You can keep up with all the latest developments by regularly visiting our news feed.